Bring a touch of whimsy and magic to your decor with a custom snow globe that you can probably put together with items you have lying around the house. 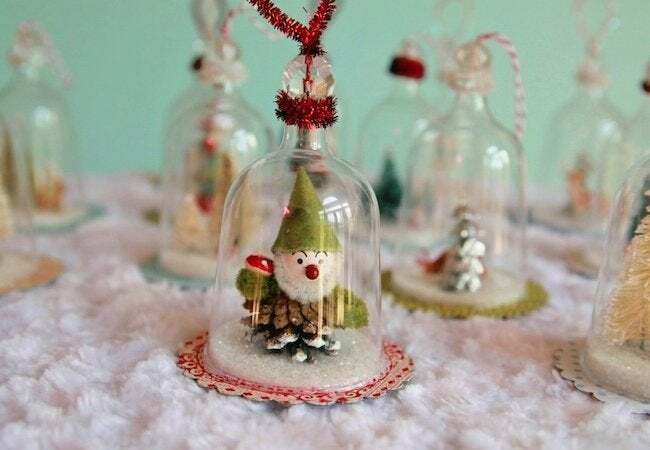 Whether a memento of a wonderful vacation or an interactive addition to your holiday decor, a snow globe is a magical miniature world that never ceases to delight both children and adults. 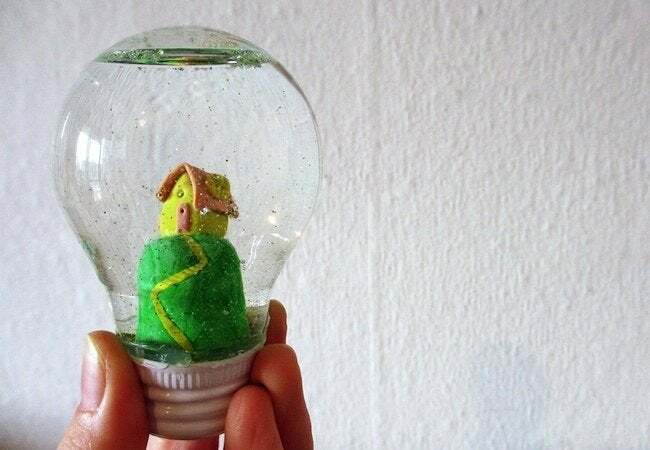 Store-bought options are beautiful, but with a DIY snow globe, you get complete control over both the container and its contents. Scroll down now to see five equally inventive approaches to the project. None require special tools, and all involve stuff you probably have already! 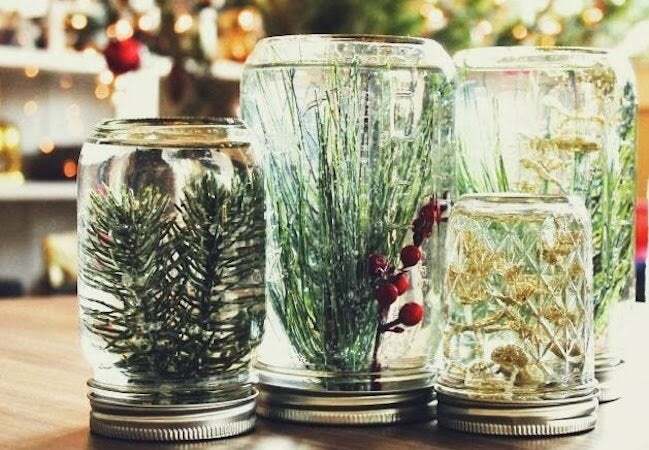 For her DIY snow globe project, Heather at Make+Haus chose an assortment of mason jars to house plastic greenery from the local craft store. Hot-glued to the jar lids, the faux foliage sits within a mixture of water and glycerin, while glitter and confetti swirl around. We love the concept of repurposing light bulbs, but as Mariëlle attests on her blog, it can be tricky to detach the metal base from the glass. From there, it’s easy: Choose your decorations, add glitter and H20, then glue the globe shut with a bottle cap of the appropriate size. If you’d prefer not to include water, don’t! Over at Makely School for Girls, Lindsay made a suite of waterless DIY snow globes, each in a different glass vessel. 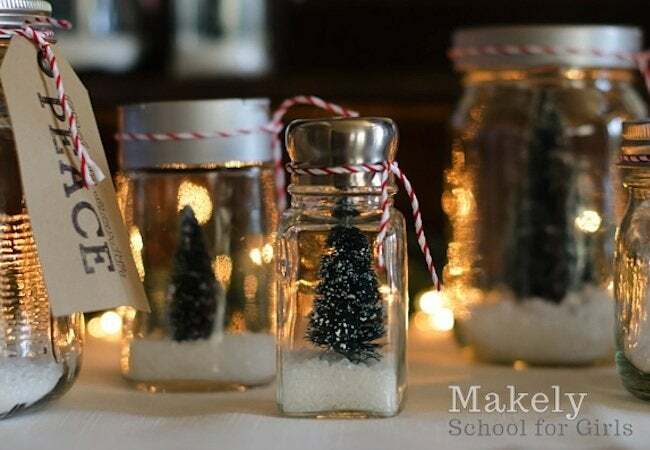 Inside every one sits a bottle-brush Christmas tree and—quite fitting for the salt shaker theme—several teaspoons of Epsom salt. Party supply stores sell plastic wineglasses that substitute superbly for vintage bell jars. Once you’ve removed the wineglass stems, you’re left with small bowls that need just a few finishing touches to become tabletop ornaments. Visit My So Called Crafty Life for a full how-to. 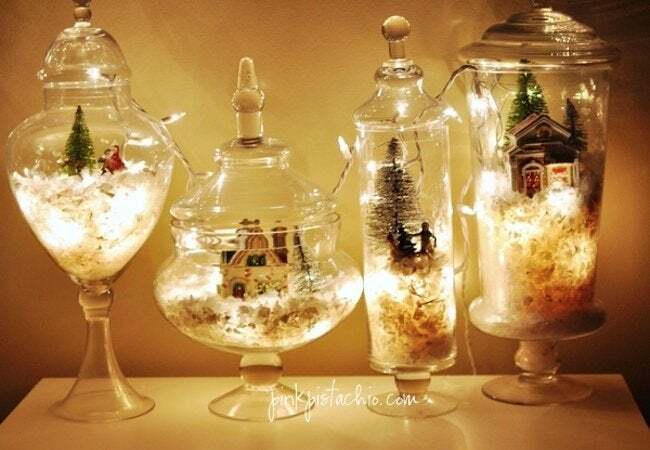 Sculptural apothecary jars, beautiful on their own, are even more so when converted—at low expense and with minimal effort—into small-scale winter vignettes, such as these from Pink Pistachio, who illuminated her grouping with string lights that only add enchantment.